Eric Heitz, elected in 2014, brings a fresh, working perspective to the board of trustees with 23 years as a public secondary school teacher. 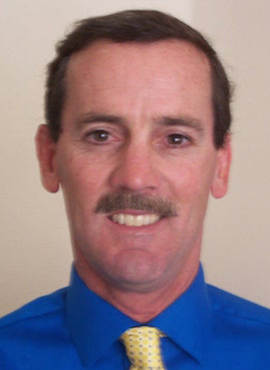 Eric holds a master’s degree in Education: Teacher Leadership and K-12 California teaching credentials. Eric and his wife Ellen have two children that have matriculated through the Windsor schools, Brien is a junior at WHS and Sarah is in the 8th grade at WMS. Eric is a member of the WHS Boosters, Windsor Advocates for Music, and has many years of coaching local youth soccer, baseball, and track & field teams. In serving the community on the Windsor Unified School District School Board of Trustees, Eric brings knowledge of the implementation of Common Core State Standards and Smarter Balance testing. He is certified in Project Based Learning by the Buck Institute for Education and has vast experience working with English Language Learners and Economically Disadvantaged students. Eric’s experience with local control funding models, teacher evaluation, and college/career readiness are all assets valuable to the position. Eric Heitz was born and raised in Windsor and has watched the community grow and develop into the wonderful place it is to live today. Eric is dedicated to the advancement of all our youth through education and opportunity, thereby continuing the positive growth of the Windsor community.